census. Eliza, who died in 1867, is buried next to her son Matthew and is listed on his headstone. children Charlotte (1848), George (1850) and Elmira (1854). War. 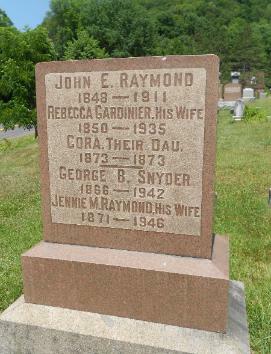 He is buried in Fantinekill Cemetery. daughter of Roswell Rice and Elizabeth Case, born April 23, 1835. Their children were Olive E.
children were Emma S. (1857), Harry R. (1859), Janney B. (1863), Frederick D. (1867) and John B.
Kingston, N. Y. in an 1878 city directory. 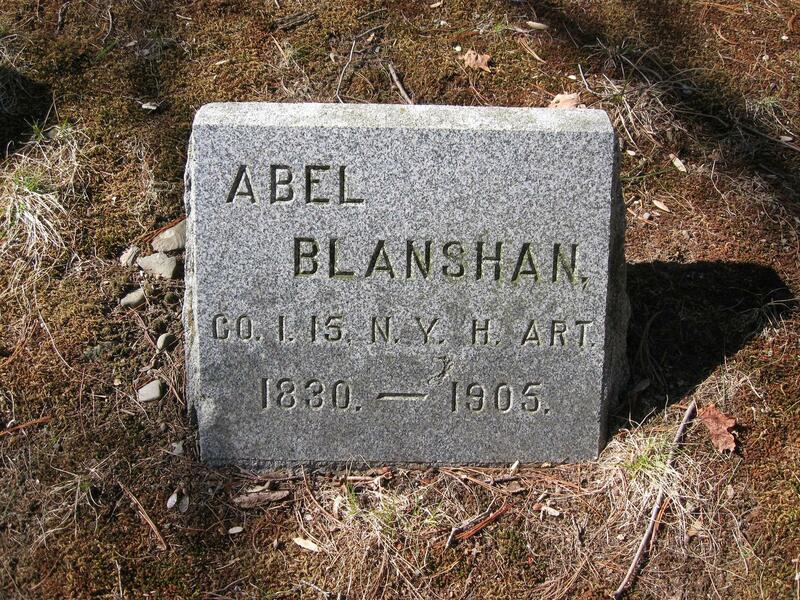 Charlotte R. Blanshan - born March 3, 1840. On September 2, 1868, she married Francis A.
had no children of record. hand. They had children Webb Blanshan (1872) and Mary Blanshan (1874). Eason of Deposit officiating. Burial in Hale Eddy Cemetery.